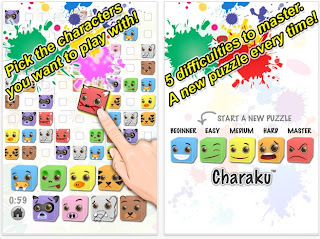 Matthew Laird recently contacted me about his puzzle app Charaku. It is essentially sudoku. Instead of numbers or letters, you get colored Characters. Can you figure out how Matthew came up with the name? Perhaps you're teaching your son or daughter to play sudoku....they might prefer this version. 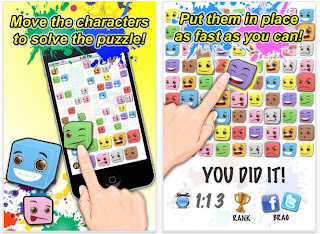 The easy levels are super easy. The hard levels appear hard. Though I have not play tested them. Charaku is a free puzzle app, so give it a shot.